Timbre Lock®: a unique technological innovation with real, amazing and exclusive benefits for our customers. "The popularity of low powered single-ended Triode amplifiers (SET) combined with high-efficiency speakers is well known. Why is it though that this type of amplifier, normally based on simple circuitry from the 1930’s, has such a singular and magical performance in this configuration?" This is the question Eduardo de Lima, the founder of Audiopax asked himself and that led to the invention of a unique solution - the Audiopax Timbre Lock® - that will be briefly described on this document. There are several types of distortion: harmonic distortion, intermodulation distortion, frequency distortion, phase distortion, time distortion, dispersion distortion and so on. These are usually interrelated, so it is easy to undestrand how quickly we can get lost. All these types of distortion can occur simultaneously in all equipment or processes of an audio chain, making the "total distortion" of a system the combination of all the distortions that have been generated by mics, preamps, mixers, recording equipment, and the full reproduction system - from the source and going through the pre, amps, cables, speakers and, finally, to the listening room. 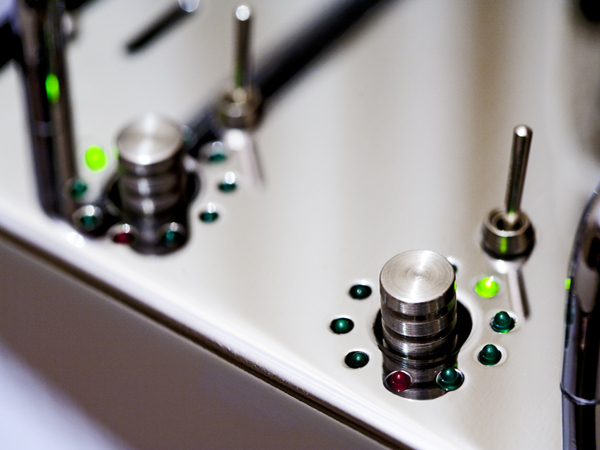 Therefore, the ideal way to obtain sound with the lowest distortion possible is to make everything perfect. No distortion at all. But this is much easier said than done! We have learned that rigid control of one aspect of music reproduction (the distortion) invariably has the unintended consequence of limiting other aspects of it. Namely it tends to choke "the life" out of the music. Although most parts of a state of the art digital based system can be made to have very low measured harmonic distortion, this cannot be said of all components in the chain, specially of the speakers. With present technology, moving coil drivers, essentially a very simple electromechanical system, will have much higher THD (Total Harmonic Distortion) than any other audio device - we can even say that most of the THD we hear in a system will be the distortion of the loudspeaker. However if we examine the distortion spectrum of any reasonable speaker, we will notice that almost all the distortion produced is of low order. In most cases it is mainly second harmonic with some third harmonic also appearing in lower levels. The higher order components will only become noticeable close to the limit of power. It is known that several of the so called "low distortion electronics" usually also have high order harmonic distortion and sometimes transient and/or non harmonic related distortions. Although this has small measurable contribution for the THD readings it could, even in relatively small amounts, be easily noticed by the human ear. And they will come through the speaker unmasked, as they will only add lower order distortions over it. The distortion that reaches our ears is the distortion that matters. 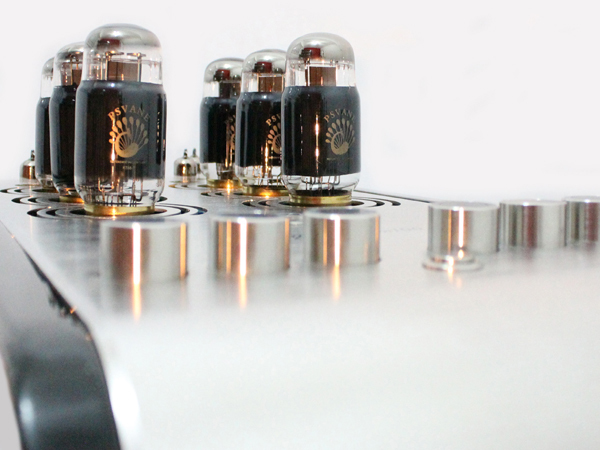 Single-ended tube amplifiers are very simple electronic devices. But if we examine the distortion spectrum of any reasonable SET amplifier, we will see that almost all the distortion produced is of low order. In most cases it is mainly second harmonic with some third harmonic also appearing in lower levels of reproduction. Higher order components will only become noticeable close to the limit of power. Notice that the text above uses exactly the same words as the ones that describe the distortion produced in the speakers and this is the key to the problem! 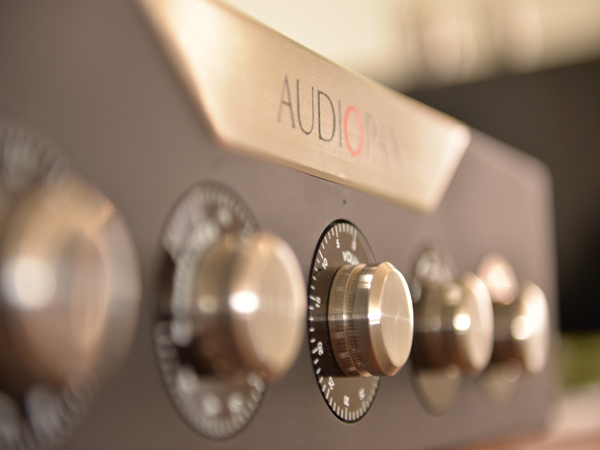 Single-ended amplifiers usually do not have problems such as high order or transient distortions and have low order distortions just like loudspeakers. If we consider that second harmonic distortion is a mathematical construction that happens to describe an aspect of nature and has a precise definition that does not take into account if it was generated electrically or mechanically or by whatever means, we can easily conclude that a very smart design of SET amplifiers can achieve significant cancellation of the same harmonic distortion present in the speakers. This cancelling effect is the essence of the Timbre Lock® - a control that gives our customers the power to get the best synergy between the components of their system, resulting in a pure, natural and "real" sound. 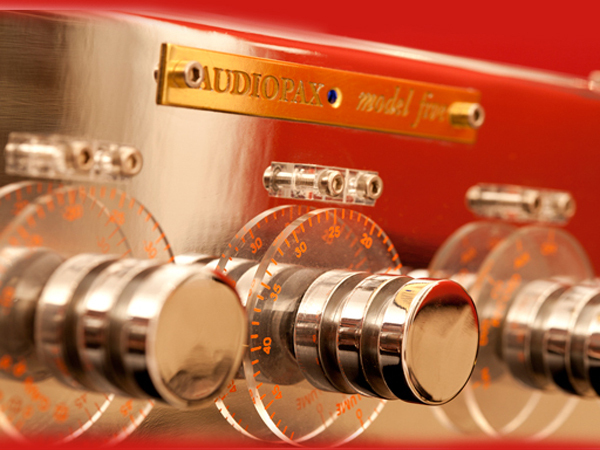 Currently the entire line of preamplifiers and amplifiers AUDIOPAX, either solid state or valve, have this unique resource, providing an unparallel degree of musicality to the systems in which they integrate.